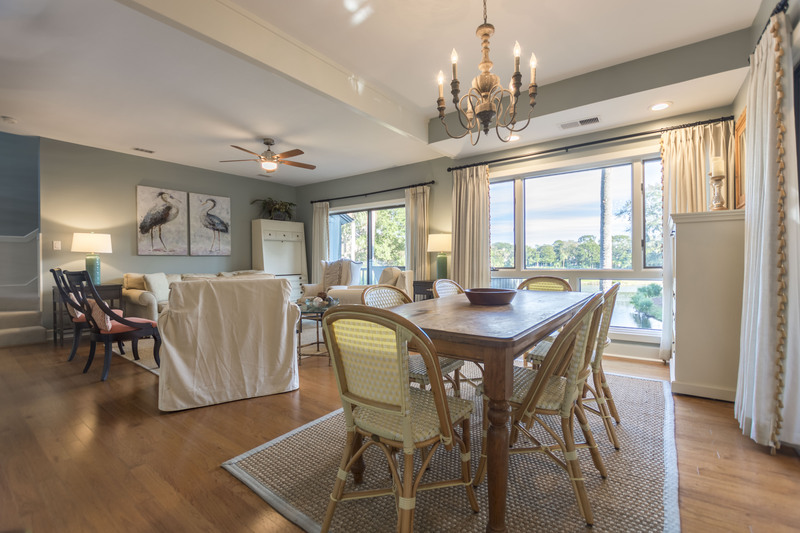 This second floor Kiawah Island vacation rental, located at 4922 Turtle Point Villa, features three bedrooms and bathrooms, an open living space as well as a deck and screened porch with golf and lagoon views for outdoor enjoyment. It is a 7-minute walk to the beach. The villa greets you with abundant natural light and coastal-inspired furnishings. 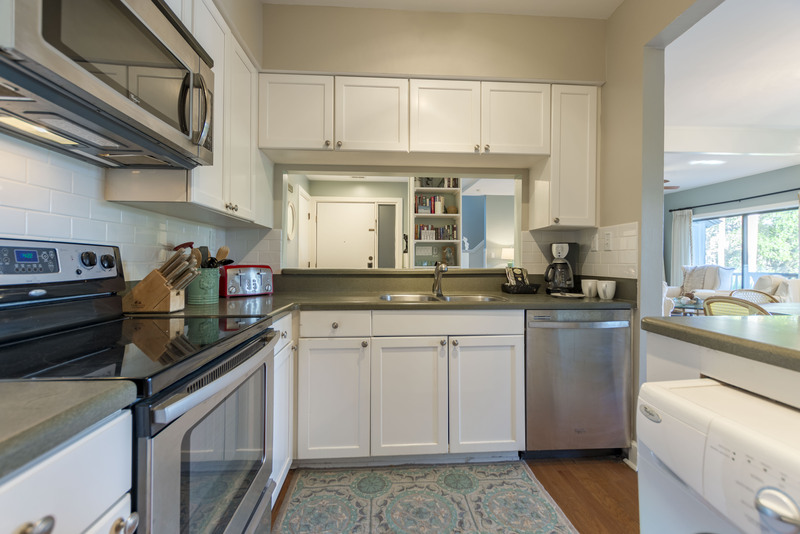 The kitchen features an elevated bar with seating, white cabinetry, stainless steel appliances, and tile flooring. The dining area off the kitchen boasts a wall of windows and a table with seating for six. 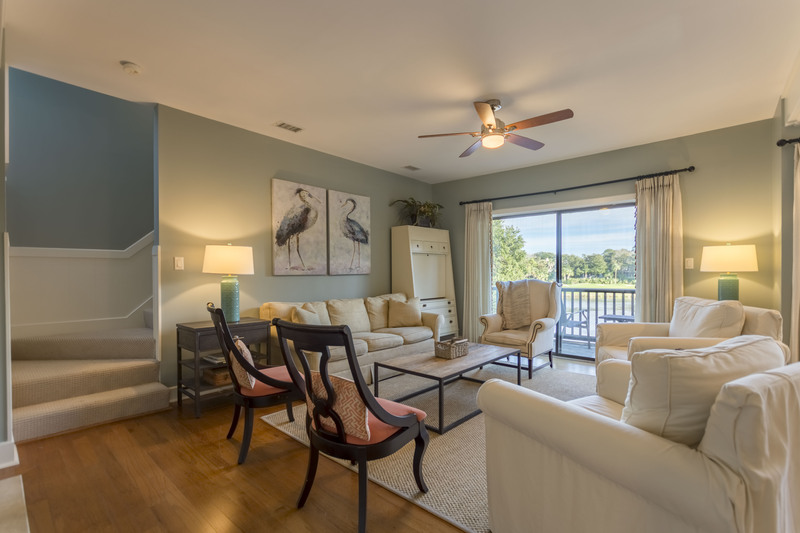 The cozy screened porch has comfortable seating, string lighting and a ring-toss game that is fun for all ages. 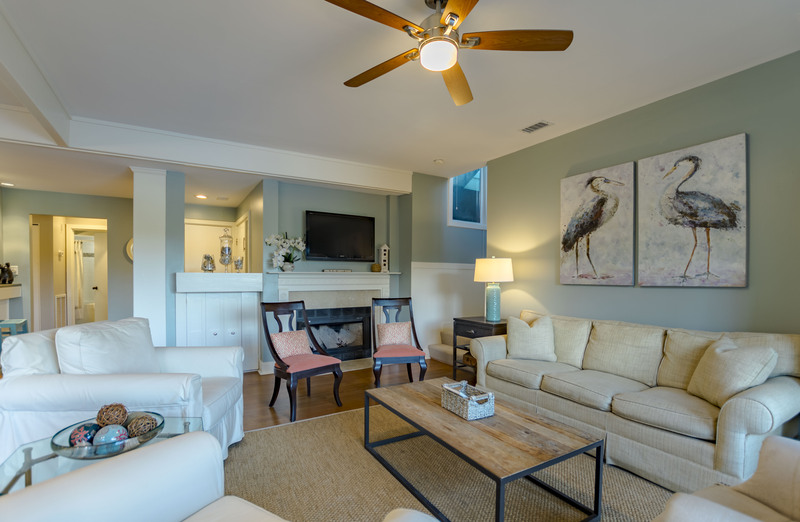 The living room offers a couch, plenty of seating, flat-screen TV, and access to the back deck. 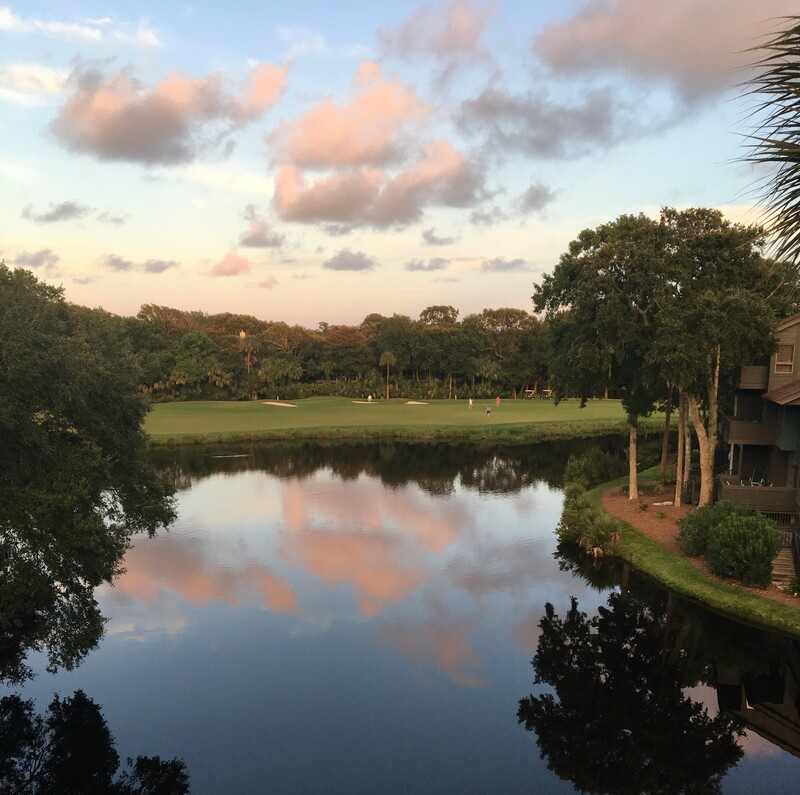 Ascend the stairs off the living room to escape to the master suite, complete with golf and lagoon views from the private balcony, king bed, flat-screen TV and updated bathroom with double sinks, separate bathtub and shower. 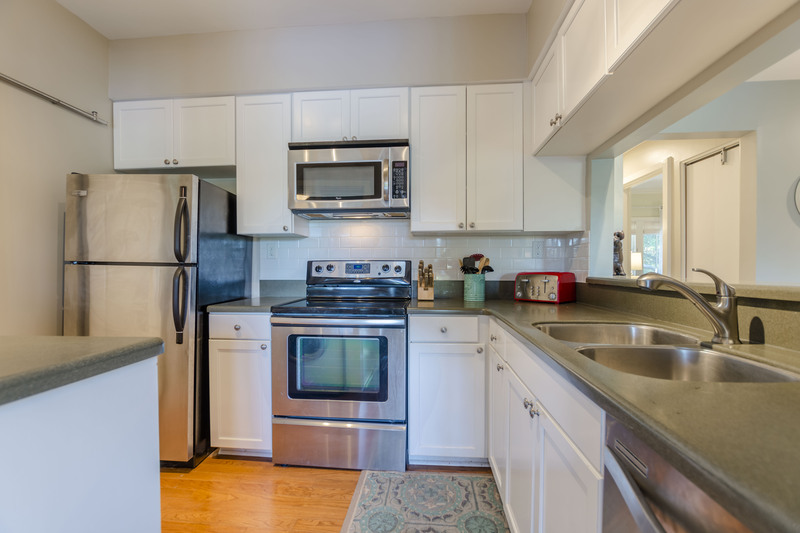 Back on the main level are two additional bedrooms and bathrooms. 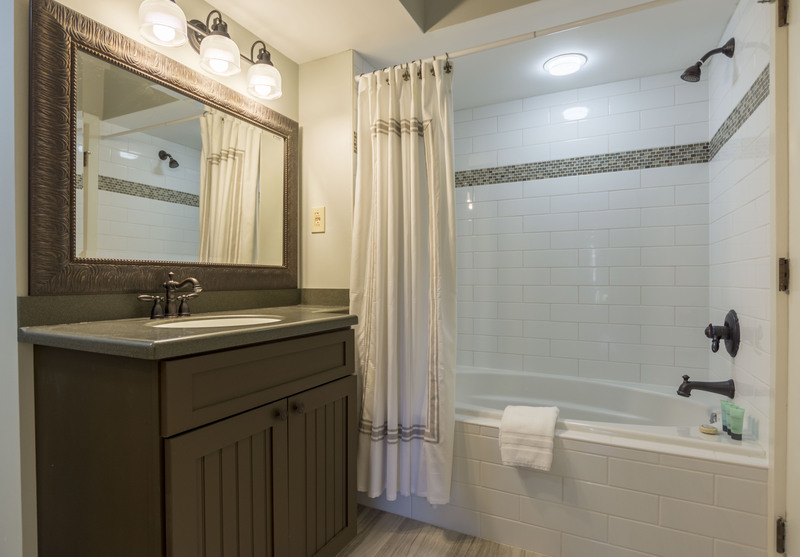 One bedroom has 2 twin beds, a TV and a private bathroom with a walk-in shower. The third bedroom offers two twin beds, a TV and access to a hall bathroom with a shower/tub combo. The villa boasts a back deck with gorgeous views and a table and 2 chairs. 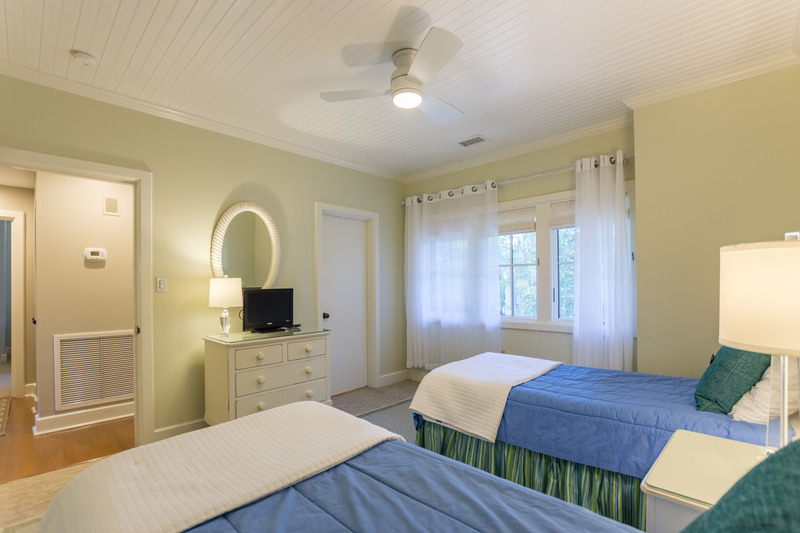 The villa is furnished with washer, dryer, and high speed wireless internet. no complaints here. great place to stay for a few nights. 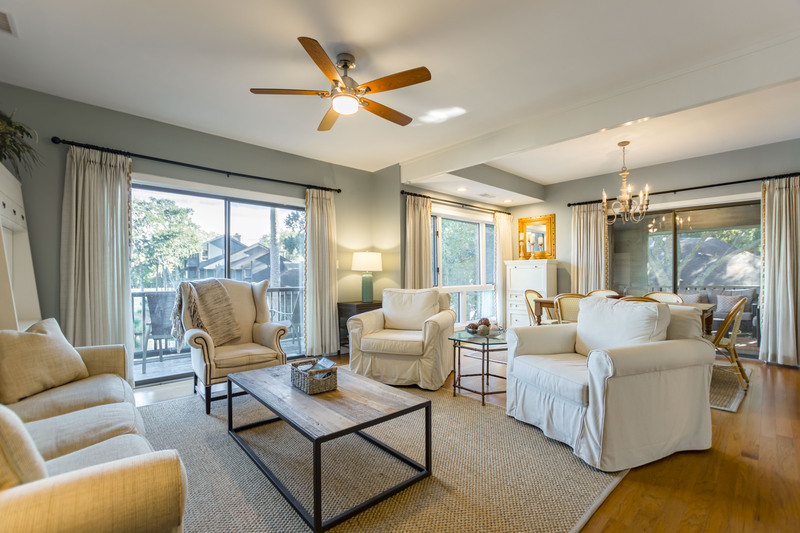 screened porch is very inviting with lights, comfortable furniture, view and even a ring toss game. bedroom configuration worked perfectly for my group. customer service was top-notch. LOVELY 3 bedroom! 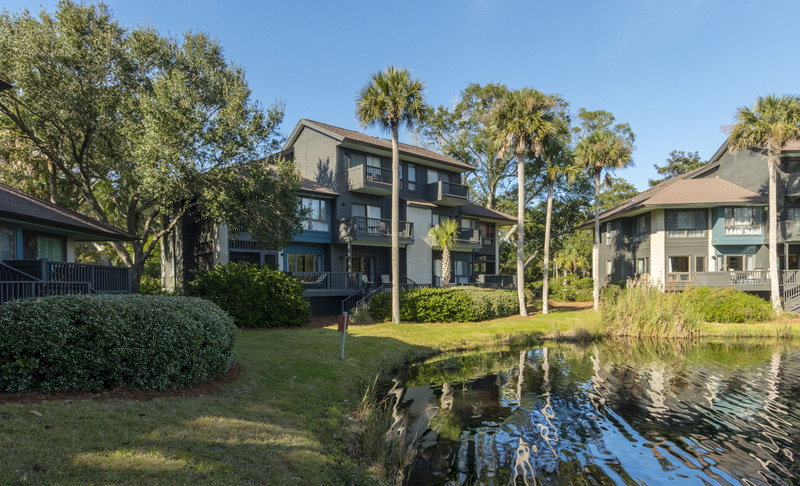 It is clean and updated, the balconies have gorgeous views and the best part is- its only minutes from the beach! HIGHLY recommend staying here! I’ve stayed in several Kiawah Island villas and this location and layout is by far my favorite. Such a pleasant experience and wonderful view. 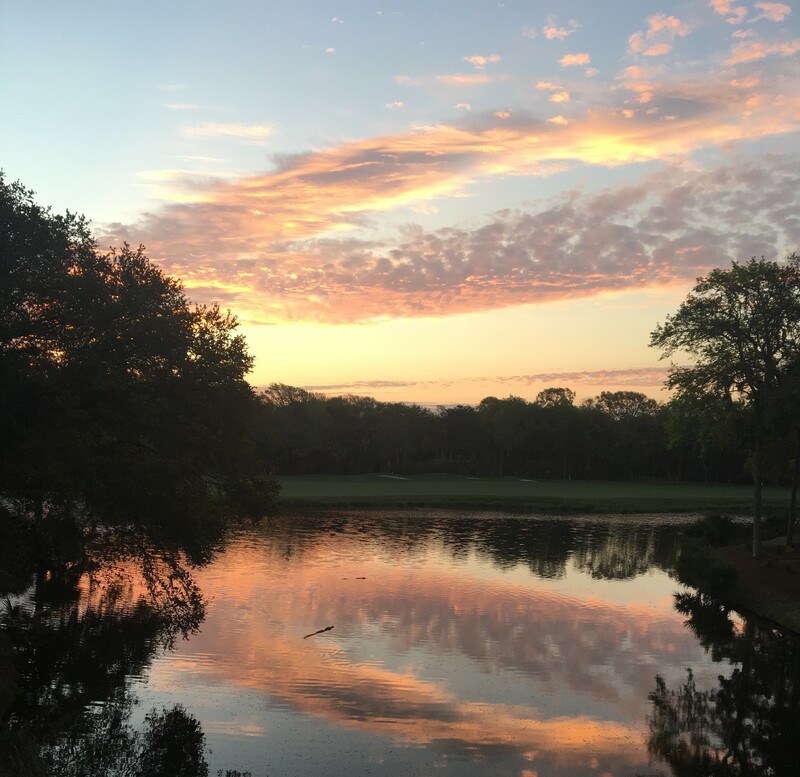 This was our first time in Kiawah. We had a great time and plan to return in the future. Our 3 yr old and 5 yr old loved biking on the trails, spotting the alligators in the pond behind the condo, and playing on the beach. This was a truly enjoyable and relaxing vacation! 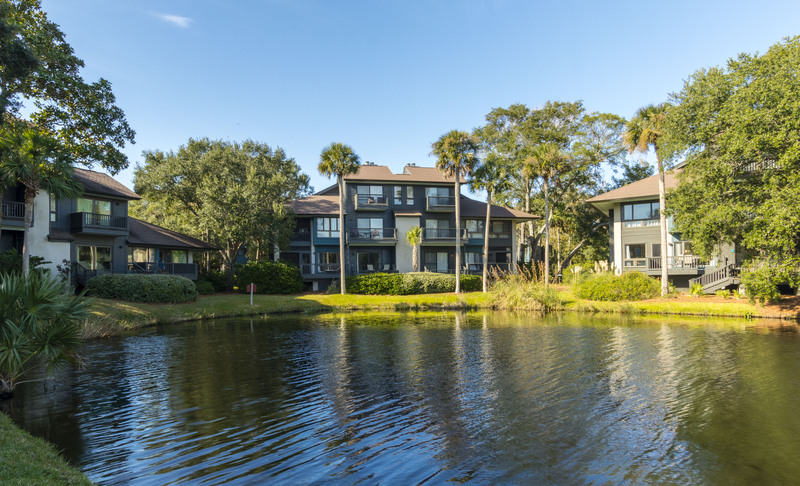 Excellent, we are owners and long time renters at Kiawah Island and this is an excellent villa and PM company choice! We had a great experience here at the home at Turtle Point. Everything was ready when we arrived and the home was truly exceptional. The house was very clean and appeared to be updated very recently. 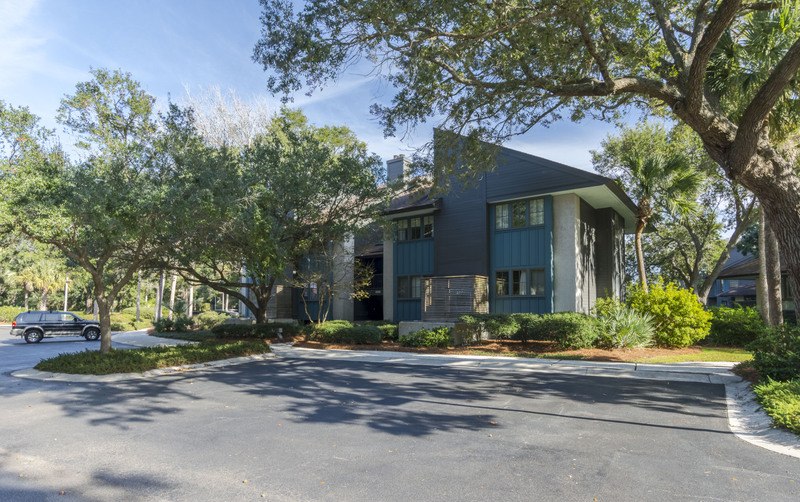 You can really tell the homeowners take pride in this little gem in Kiawah. Thank you for the memories and we will be back!